HBNU consists of 17 colleges, departments and 3 secondary institutes. It offers courses for 26 Master’s degree programs, 39 Bachelor’s degree programs and 18 diploma programs. At present, HBNU provides the following long-term or short-term courses for the overseas students: Chinese Language, Literature, History, Culture, P.E., Art and courses in other specialties. HBNU warmly welcomes friends from all over the world for exchange, study and cooperation. 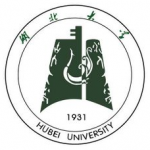 Hubei Normal University is the only multi-discipline comprehensive higher education institution directly under the Educational Administration in southeast Hubei Province. In 2007, the university received a high grade in the Undergraduate Teaching Evaluation by Ministry of Education. Located in the city of Huangshi known as Bright Pearl on South Yangtze, the University covers an area about of 1.3 square kilometers and lies on the Shore of Greenhill Lake. The buildings have a total floor space of 500,000 square meters and are nestled among the Fupen Mountain. The green trees and clean lakes give the university a perfect studying environment. Covering learning divisions of languages, history, economics, law, science, engineering, and education (its’ main feature), HBNU currently has 17 departments and institutes, which consist of 39 specialties for undergraduate courses, 18 for 3-year courses and 26 for postgraduate courses. Among them, many specialties are core courses at the provincial level such as Chinese literature theory, Chinese grammatology, applied mathematics, phonics, analytical chemistry and so on. HBNU has more than 1300 teachers on the regular payroll, of whom 102 are professors, 238 associated professors. The number of full-time students in HBNU amounts to over 20,000. During the recent years, ninety percent of the graduates were employed immediately upon graduation, and due to this, HBNU is awarded as the Advanced group of graduate employment for Hubei higher education institutions. The International College of HBNU is an institute for sending students abroad as well as receiving oversea students and language training. Except for the short term Chinese language training and long term degree education, we also invite those who are interested in specialist subjects in traditional Chinese culture into our university for short term study. These include Chinese calligraphy, tai-chi, Kong-fu, folk music, Feng-Shui, cross stitch, cuisine, Chinese massage, and ping-pong ect. Wide international cooperation and exchanges have been established between the university and other scores of friendly universities from Japan, Netherland, USA, Russia, Ukraine, Indonesia, and South Korea and so on. Annually there are more than 300 international students from different countries attending courses of short or long-term language programs or studying for diploma or degree in Hebei Normal University. Hebei Normal University is a new-type normal university pursuing its own characters of education-research-orientation, comprehensive, quality and excellent, sincerely expecting wider cooperation with education organizations home and abroad.